Cosmetic Cupcake: Easter sugar overload on cupcakes and churros! I hope everyone had a wonderful Easter long weekend! Yesterday the boy and I were in the north shore area so we took the opportunity to visit Chatswood and have lunch and do some shopping. We had a quick lunch at one of the Chinese restaurants and headed to Westfield to do some quick browsing. I haven't been to Chatswood in ages and boy has it changed! 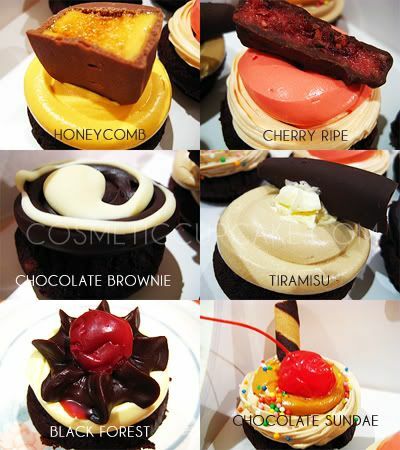 Alot of new shops have opened up including one of my favourites Cupcakes on Pitt which I discovered in Westfield. 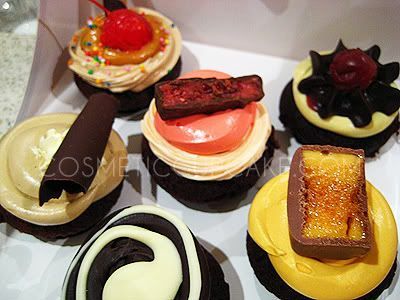 I absolutely love love LOVE cupcakes and I haven't had one in well over 2-3months, since before I started my blog! I can't believe this is only my 1st post about cupcakes! But I just haven't had time to bake any or cart any home so I greedily jumped at the opportunity to get some yesterday. Continuing with the sugarfest, I've wanted to try San Churro in Westfield many times as it's on the same level as Kam Fook Chinese restaurant where we like to go for yumcha given the chance (which isn't often). We got the Fondue for Two to share and it did not dissapoint! 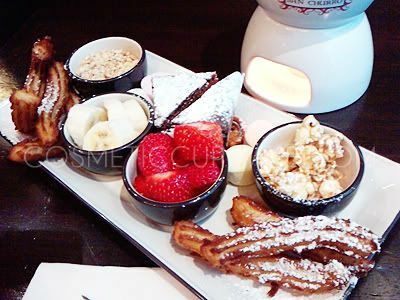 It came with 6 mini churros; little bowls of strawberries, bananas, caramel popcorn and chopped peanuts; 2 brownies; pretzels and marshmallows with a pot of melted chocolate to cover everything in. 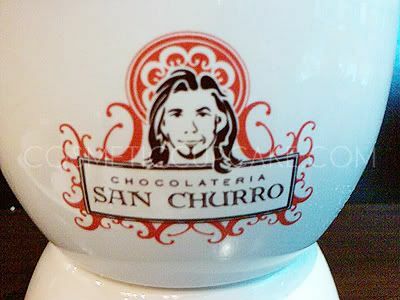 San Churro reminded me alot of Max Brenner but with a Spanish twist. And I just discovered on their website that they have a store in Glebe! WOW those cupcakes look amazinggg!!! i'm so hungry noww!